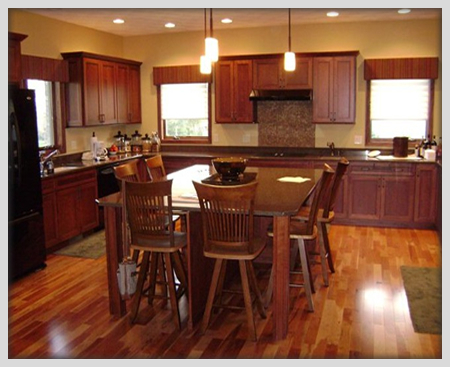 TC Construction is a Wisconsin licensed and insured remodeling contractor. We have been upgrading some of the area's finest homes for many years. Our specialties are complete renovations, custom kitchen remodeling, custom bathroom remodeling, additions, decks, siding, windows, basements, and garages. We pride ourselves in completing high quality projects at a very competitive price. We want to earn your trust through great ethics, integrity, and fairness. Here at TC Construction we are committed to providing you with high quality work while still trying to save you money. Our remodeling services range from small jobs, such as home maintenance projects, to full renovations while delivering the best service possible. Our remodeling team is comprised of only true professionals. We are highly reputable and experienced in working around our clients; this means working on major renovations while our clients are still dwelling in their homes with children and pets.